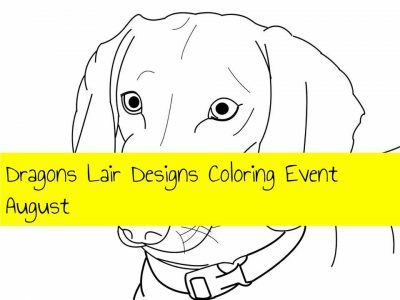 Those of you who visit my blog regularly will know I like to enter the colouring in challenge in the Dragons Lair Designs Fan Group on Facebook each month. 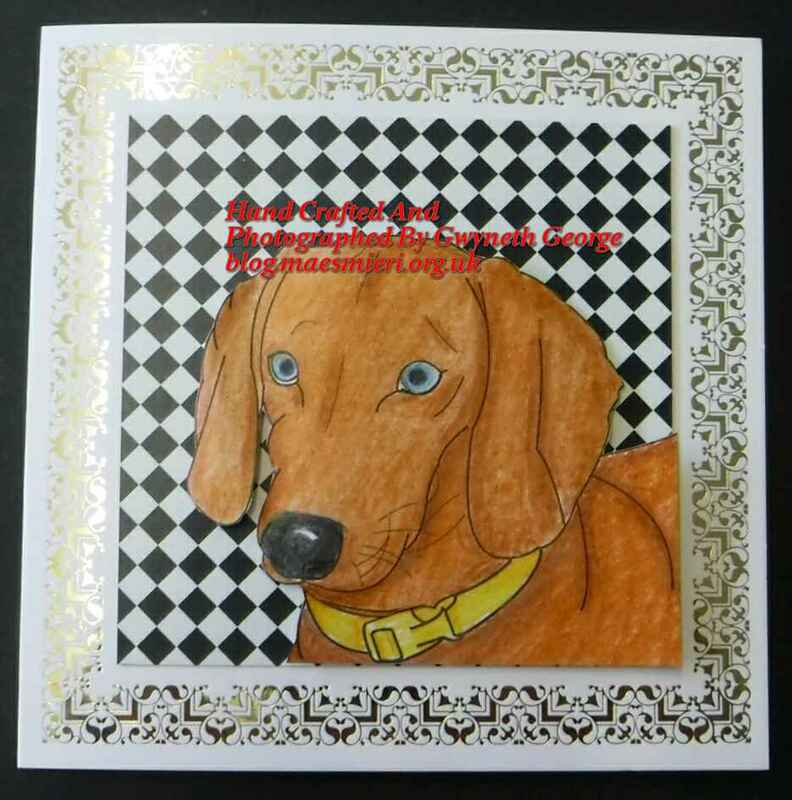 Each month a different digital stamp is made available to group members to request for free. Then it’s simply a case of creating something with it and uploading a photo of the creation. Not uploading a photo means no free digital stamp next month. 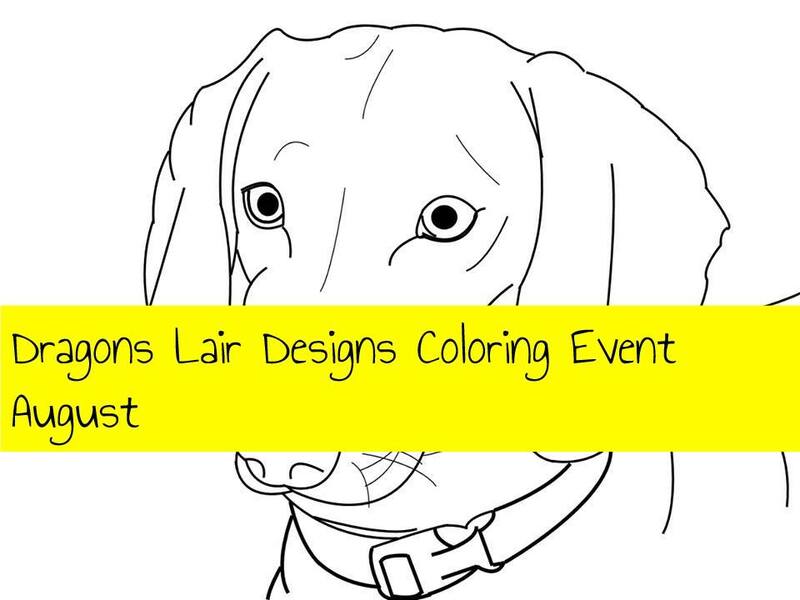 For the August colouring challenge the image group members can request for free is this one. Why not join the DLD Fan Group on Facebook to get the image and join in. Having used Chameleon Pencils to colour the image last month, and not being very happy with the result, I decided to see if I could do a job I was happier with and used the same pencils again this month..
Once I finished colouring the image I cut close around the drawn line around the head, and used a cutter to cut along the bottom and right side. I did a little shapeing of the image with my fingers. The base card and the background cardstock I chose are from Kanban. I cut the background to fit inside the foiled frame on the base card and stuck it to the card with fingerlift tape. 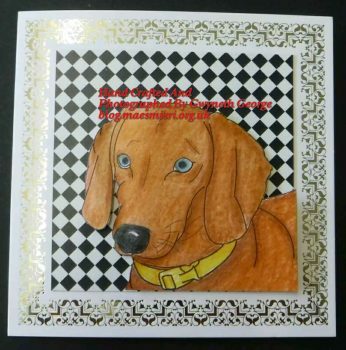 I’ve left the card without a greeting for now as I am not sure what occasion or language it will be needed for. I also used fingerlift tape to attach the bottom part of the image that was straight cut, and put 3mm deep double sided foam tape under the main part of the image that was shaped. You can see the slight raise in the image achieved by the shapeing and foam tape in these photos. So here’s my finished card. 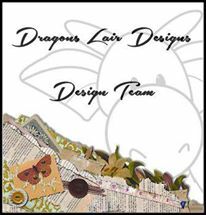 For any of you who don’t know, Dragons Lair Designs has both a Page and a Fan Group on Facebook, in addition to the Etsy shop. You can find the DLD Fan Group – here! The DLD FB Page – here! 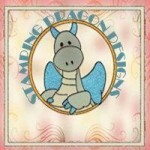 The DLD Store on Etsy – here! 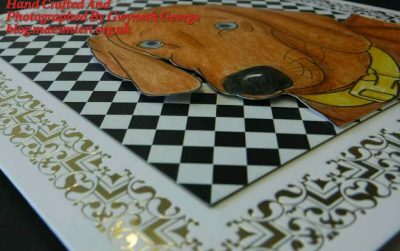 And for those of you who prefer to buy your digital downloads via craftsUprint, you can find DLD designer Janette Padley’s items – here! That’s it for today. 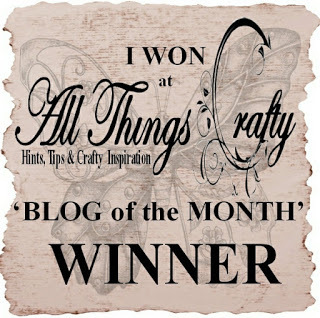 I hope to have another post on my blog to show you some more crafting before long, so please do pop in for a look again.